Oh man, have you ever read Batman? I say, have you ever read? 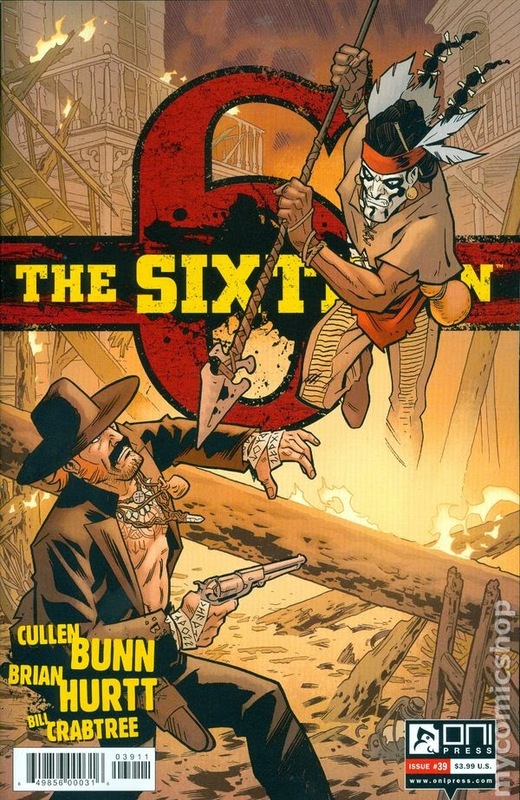 The Sixth Gun #39 - Written by Cullen Bunn, Illustrated by Brian Hurtt, colored by Bill Crabtree, lettered by Crank!, designed by Keith Wood, edited by Charlie Chu, published by Oni Press. I’m tempted to say good things come to those who wait, but that is not the case with this issue of The Sixth Gun. Instead, I will say that awesome things come to those who wait. 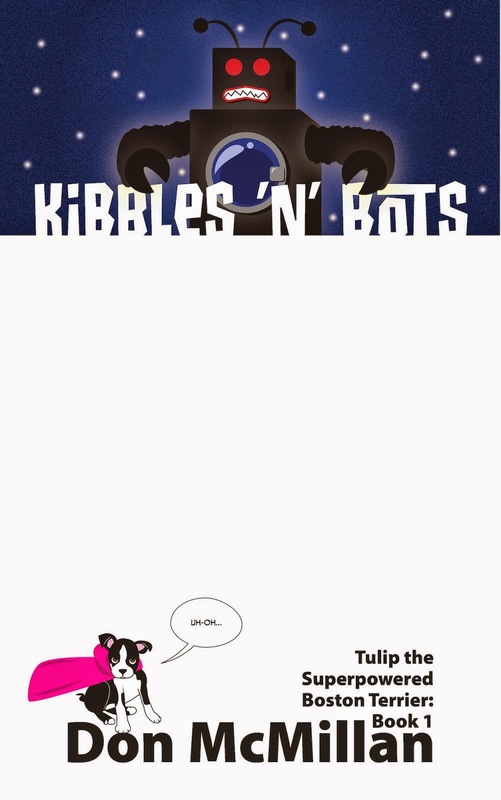 I believe this issue came out a month ago, and I have been bummed out each and every week I was told my copy had still not arrived…well, let’s just say Tulip and Obie were also not pleased. As annoying as the delay was, after the insane action of this issue, I am thrilled I only need to wait a couple weeks for the concluding issue of the “Not the Bullet, But the Fall” storyline to arrive; that is unless my LCS gets mis-shipped again. Griselda the Grey Witch’s minions continue their siege upon Drake Sinclair, Becky Montcrief, and their companions. The sad truth is that evil is winning. One hero fell, one turned against his friends, another was captured, while another was wounded. Now, Jesup holds one of the six mystical guns, and is in hot pursuit of the rest, and the situation is only going to get worse; it does. As the remnants of Drake’s crew battle Griselda’s snake men, a true hero buys his friends the chance they need to escape. Meanwhile, if the Knights of Solomon cannot find the Grey Witch, they at least know where she will eventually end up. Mein Gott, denizens! I feel like I opened this issue and finished it seconds later. I’m not suggesting this issue is shorter than it should be, or that it is lacking in substance. Not at all. This issue was so exciting and well-paced that I could not put it down. Boy howdy was the action intense. I’m also now upset with the creators for taking away yet another great character who I loved, especially after that character whupped so much a$$ in this issue. Okay…I'm not really mad at the creators, for they took a relatively new character and had me groovin’ on him since his introduction a few issues ago. 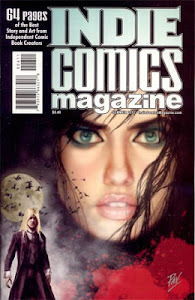 As for getting my hate on…man, do I hate the bad guy in this issue <grrrrr>; I hope he gets what’s coming to him. Hurtt’s art is as great as ever, only when we get to the action scenes, something changes and the insanity that had me fervently whipping through the pages kicks in. One page in particular is stunning as the villain holds the hero by the neck, then tosses the hero, who then in the final panel lands on his feet as he slides to a standstill. Keep in mind that we are talking about static images and the strength of implied motion via Hurtt’s wonderful storytelling truly shines; it’s something to behold. Dang, denizens, I’m still kind of shaken by everything that went down in this issue, which is the sign of a great comic. The Sixth Gun is fantastic and has been since issue one. As much as I don't want to see my favorite characters die, the need to see what happens next is so overwhelming that I cannot wait to get my hands on the next issue—it sure as heck better not be late. VERY HIGHLY RECOMMENDED! Batman #30 - Written by Scott Snyder, illustrated by Greg Capullo, inked by Danny Miki, colored by FCO Plascencia, lettered by Steve Wands, published by DC Comics. Confession: I don't really remember what the heck happened to Batman after the last issue. Luckily, all I had to do was reach toward the towering mountain of “read” comics, sort through them all and find out that Batman had defeated Dr. Death (the gross bone guy), but that the Riddler had taken Gotham. The weather balloon was but a decoy that began to explode before being hit by lightning. After all of the exciting battlin’ last month, it’s no wonder I missed that little detail, but I'm glad I went back as things kick off with a bang. Bruce Wayne has been unconscious for a while after the Riddler had played him like a fine-tuned piano. He awakens to the sight of a cockroach infested apartment—and the sight of what will be a future symbol in the bat family—hooked to an I.V., and talking to a kid about the new Gotham that the Riddler has created. The criminal mastermind has sealed off Gotham from the rest of the world, and promises to keep the city in lockdown unless someone can stump him with a riddle. No one has won. In fact, if the Riddler guesses correctly, then that person's life is forfeit; needless to say, there few takers for the diabolical game. Luckily, Batman is back and dressed in a manner we have not seen since issue 21. I might have forgotten what had happened last issue—it’s been a crazy month—but I was easily able to get back on track and on board with a Gotham gone wild, the overgrown wasteland that was promised so long ago. We also get to see Batman without all of his nifty technology and gadgetry and a makeshift costume. As much as I enjoyed the ”Red Hood” story, this is the one I have been wanting to see. On the page six and seven double-page splash, we see Bruce drawing the blinds to reveal a dilapidated and overgrown Gotham, with one key untouched building: the one with the giant purple and green question mark brandished for all to see. Snyder does a great job of making it seem like the Batman has been away for a while through each of his interactions with the key players in this story. Towards the end of the book, we also see him reuniting with Jim Gordon and we are reminded of the wonderful role these two play in each others lives. This is just the beginning of whatever madness Snyder intends to unleash over the course of the year. I can’t wait. Capullo's art is, of course, outstanding as the issue focuses predominantly on the drama of people existing in the Riddler’s Gotham held captive. Again, though, I have to return to that gorgeous double-page spread that is jaw dropping once Plascencia applies the colors. So, Batman, continues to be one of the two DC proper books I continue to buy on a monthly basis—the other being Swamp Thing—and is one that I greatly anticipate reading from issue to issue. 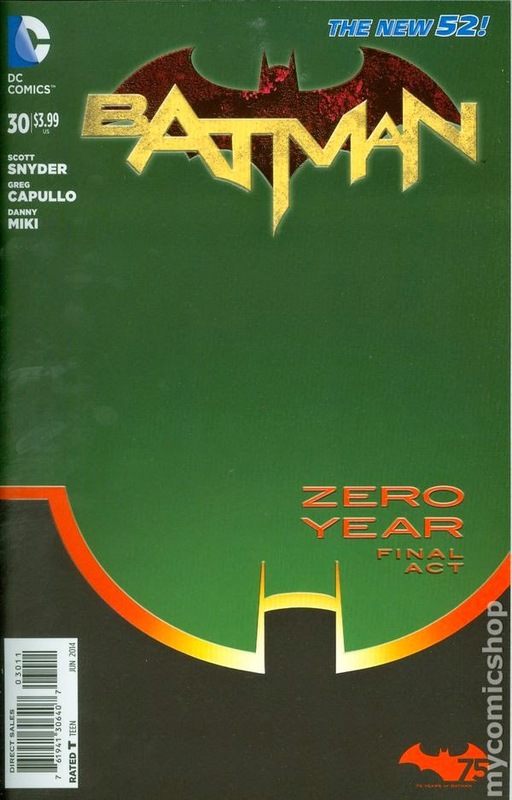 With the second half of the ”Zero Year” storyline kicking off, I am more than excited to see how things all play out. If you aren’t already reading Snyder and Capullo’s Batman, then you have made a grievous error, but with this issue you can safely jump in and figure out what is going one; I also bet that you will go back and pick up all the issues/trades you’ve missed in between. HIGHLY RECOMMENDED! Undertow #2 - Written by Steve Orlando, illustrated by Artyom Trakhanov, lettered/designed by Thomas Mauer, published by Image Comics. This is the other title that shipped almost a month ago, and that I finally picked up this week. 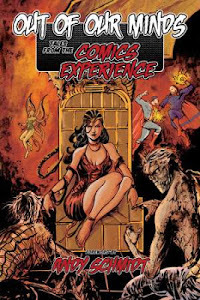 Looking on the bright side, that means I only have a week or so to wait until issue three…that is unless shipments go awry again. <pffftt> whatever. Anyhow, this is the book with the premise that makes me go I wish I thought of that, and it continues the fascinating journey of mer-people breaking from the norm to explore the deadly perils of land as they search for the ”amphibian,” an Atlantean who holds the secret to breathing air. While the famed Anshargal and his team are away on their mission to find the amphibian, some of the crew of his ship have the stirrings of mutiny. Anshargal, on the other hand, is luckily unaware of the problems back aboard the ship, as his crew clash with a deadly sea locust. The encounter does not go well. As trouble brews back home, Anshargal’s problems have only begun as he and what remains of his crew prepare for a new encounter. The second issue of Undertow is still a blast and reminds me of a colored version of the Warren Magazine tales of my youth…and what glorious colors they are. The pages in this issue are truly stunning to behold, and the jump from complementary to analogous to monochromatic color schemes depending on the mood of the scene, drives home just how striking the imagery can be. The story continues to be a fascinating journey into the mysteries of a world we are already familiar with, but from an entirely new point of view. It will be interesting to see where Orlando and Trakhanov’s story goes and the good thing is that my wait to read the next issue will not be a long one. 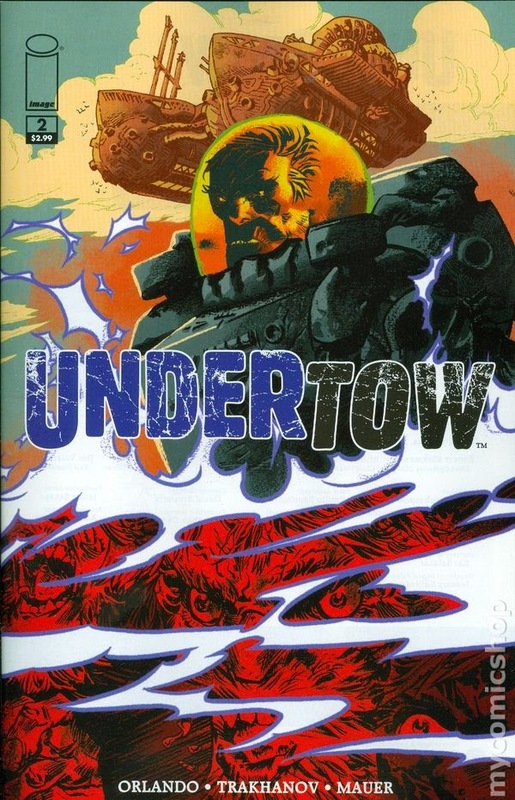 Undertow is a unique, pulpy, sci-fi story worth taking time to appreciate. Best to jump on now at this early stage. RECOMMENDED! 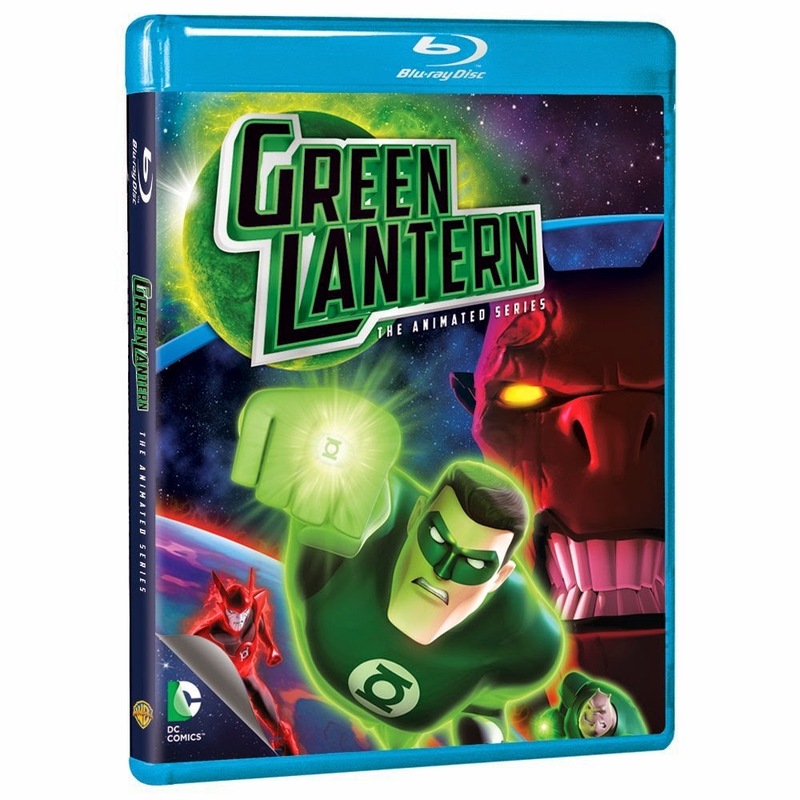 Green Lantern: The Animated Series - Wow! Here I thought I would watch a couple episodes of this one—and regrettably only—season of this show, and the next thing I know I watched the entire 26 episodes over the course of two weeks. The show recently popped up on Netflix, and I'm not going to really get into it, but it is one of the best animated shows I have ever seen. Beautiful graphics, fantastic voice acting, a familiar yet different take on the Green Lantern story, and characters (old and new) who I instantly fell in love with. It is simply a phenomenal show. I am so irked that the powers that be struck down a second season because of the flop that was the Green Lantern movie—which I hated—and now we don’t get to see the next stage of the show, which probably would have gone into Black Lantern territory. Don't let the fact that this amazing show only received one season prevent you from checking it out, as I am convinced that once you watch the first two or three episodes, you will be drawn in until the end. Now I need to buy the blu-ray. VERY HIGHLY RECOMMENDED! No Negativity This Week - We’re off to Wondercon, so let’s not be negative. Sure things have been crazy busy with my rapidly ending graphic design courses, so I'm looking forward to the mini vacation, and I expect to kick into my writing even more in the coming weeks. Look for some changes to Donist World coming soon. Take care.